Once you go BarelyNaked, you don't go bulk! Pssst! 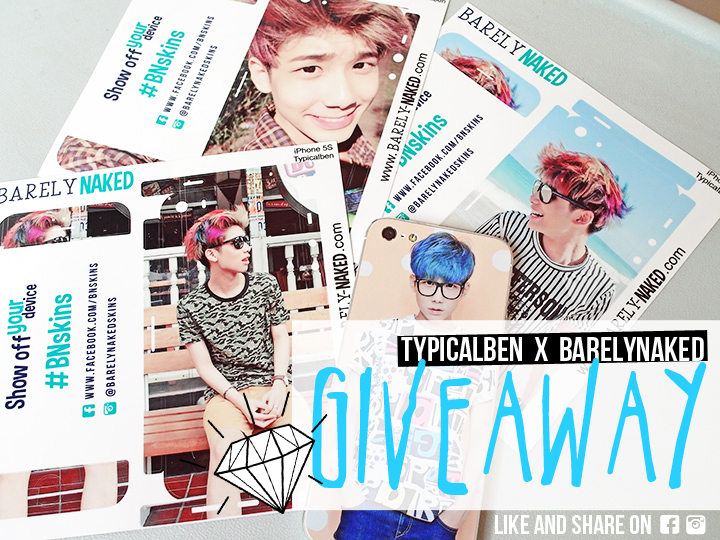 There's a giveaway too!!! Details at the bottom of the entry!!! Oh oh wait! Notice something?? What's that thing on my face!! If you cannot read, it says..... "My DEVICE is BARELYNAKED". 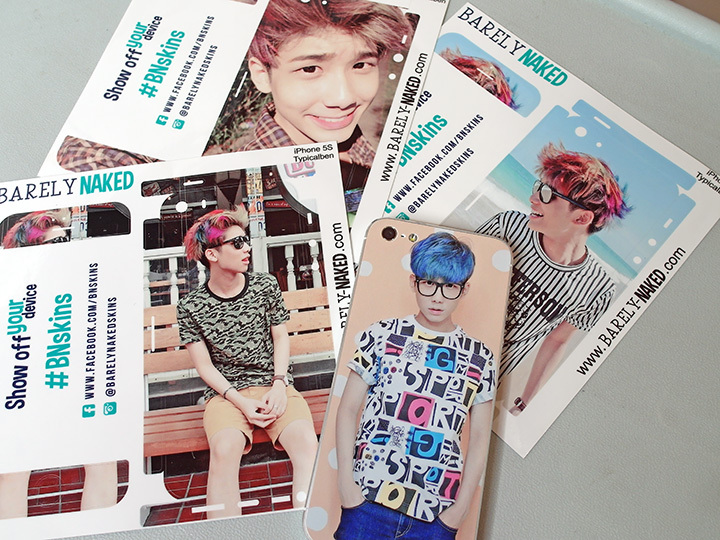 Not me ah (which I'm obviously not 'barelynaked' since I'm fully clothed in these pictures lololol), but my devices! Hahahaha! 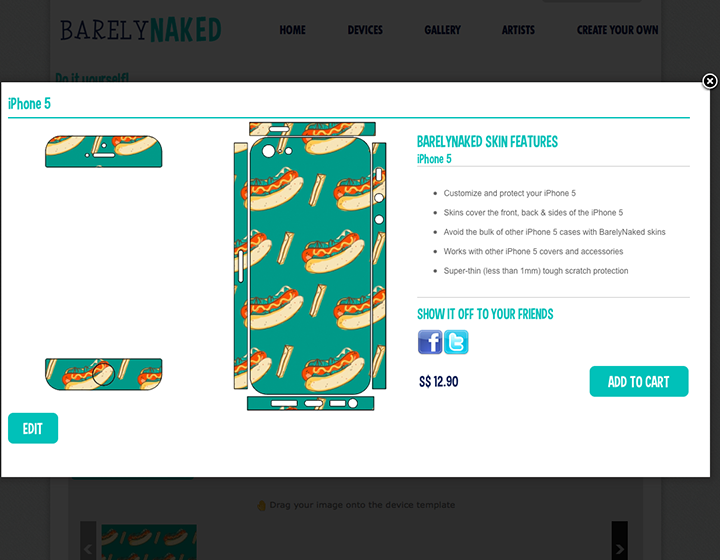 Yes I'm so excited because all my devices are now officially "BarelyNaked"!!!!! Thanks to the all the pretty skins that I've customised over at barely-naked.com!!! As you all might know, I'm pretty crazy about phone covers lolol! And at certain point of time in my life (HAHAHA! 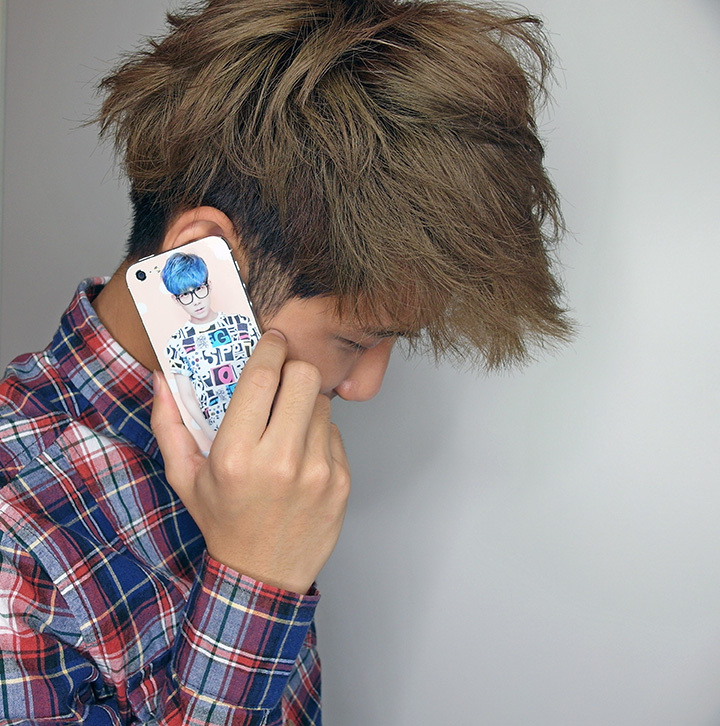 ), I change my phone covers almost once every week! Sound quite crazy but I just love to "dress up" my phone to make it not-so-boring and I think it can also bring out some personality too! But some people didn't really like the bulkiness of the phone with cover! Sometimes I feel the same way too! And what's the solution to that??????........ Yes!!! Skins for phone!!!!!! I'm really excited to know and also to let you guys know that now there is this service by BarelyNaked where they allow us to customise our very own skins at a super affordable price ($12.90 only wtf). And it will be sent to your doorstep with no hassle at all!! I genuinely feel that it is really very affordable because as a phone cover/skins expert (HEHEHE! ), I can tell you that those phone skins with design you see and can get at those shopping mall also sell around the same price ($8-$15)!!! Anyway, this is my how my phone currently looks like now with the skins I did from BarelyNaked!! Hahahaha! Before some of you start, I know it is a picture of myself.... but I like it!! Yes, that's the thing! With being able to customise your skins, you can have whatever picture you want on your phone! You can print pictures of you or together with your family, friends, partner, pets, enemy (maybe?) and if you don't like to have your face in it, you can use designs you illustrate or if you are lazy, you can also use their designs that they have on their site! Alright, let me bring you on a tour to give you a clear view! So let's say you don't wanna use your own picture or design for the skins right, there are tons of cute and nice designs by various talented artists available on the site as well for you to use! (p/s: they are also actively looking for artists to showcase their designs on their site! Then after you choose the designs you want, you then choose your devices! After that you just place the design on the template and you are done!!!!!! Tadah!!!! End product!!! So cute right the design!!! Now comes the most awesome part!!! 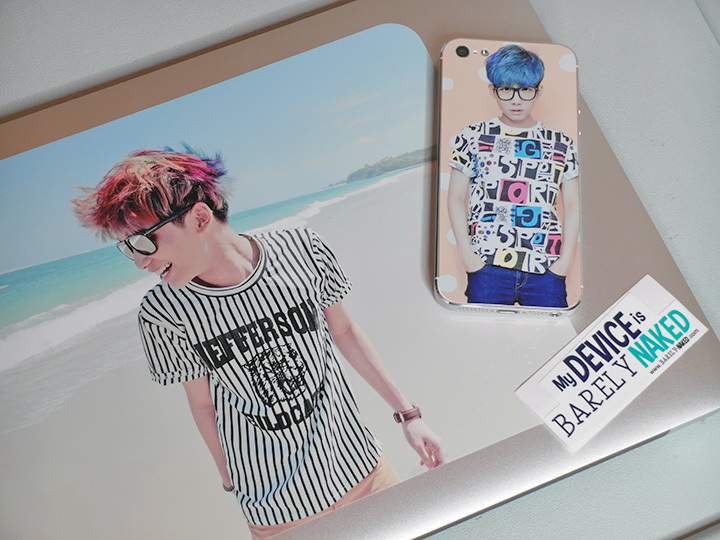 Which is we can DIY our very own design and create our very own skins easily on their website!!! Yay!!!! And to make it even easier for us, they allow 3 different ways of uploading the designs to their site!!! Which is from our computer, Facebook or Instagram!!!! 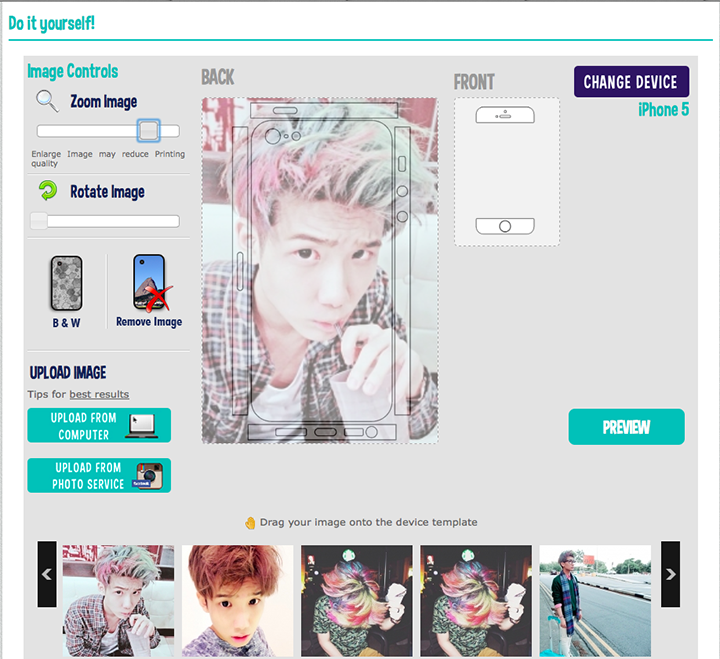 Just simply sign in to your Instagram and you can choose whichever picture you want! Here's an example of the pictures that I've chosen on the bottom! Then all you have to do is the same, just drag the pictures you want up to the template and you are done!!! So simple right! 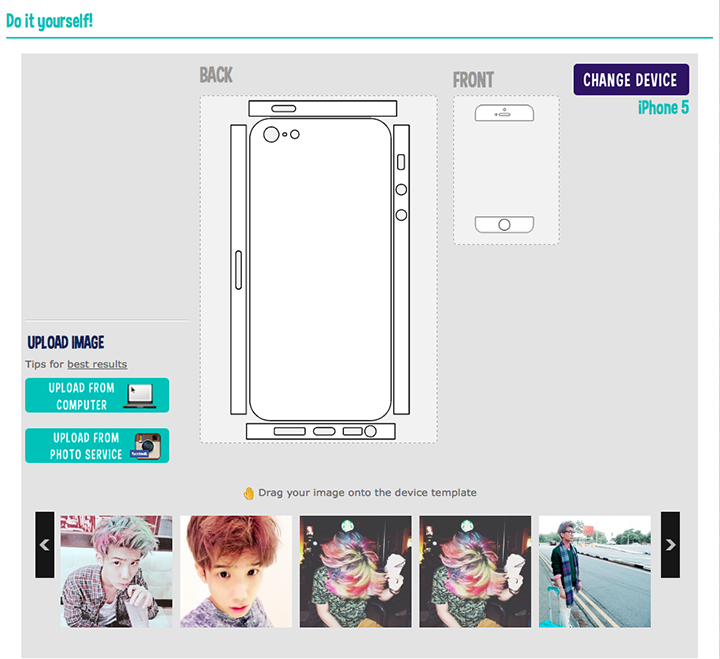 There are also zoom/rotate tools to help you fit your pictures nicely to the template too! Tadah!!! This is the final product and it's all ready to check out!!! Here's me with my new phone skins!!!! I really love it!!! The quality of the skins is really good and it is also very easy to put it on ourselves! To be honest, I'm always very bad at sticking on screen protector but I can say I can stick this better and faster than screen protector eh! I think it's probably because if we stick the skins wrongly right, we can still peel it out again and re-stick it since it doesn't leave any sticky residue when removed (so you also don't have to worry that it will leave sticky residue when you guys don't wanna use the skin anymore) and the quality of the skin is not those that will break or tear easily, so that is why it is so easy apply on! They have this saying, "Once you go BarelyNaked, you don't go bulk!". Hahaha! Meaning that the BarelyNaked skins provide protection for our devices without the bulkiness of casings and covers! Actually it's quite true you know, I love how my phone now feels without covers already!!!! 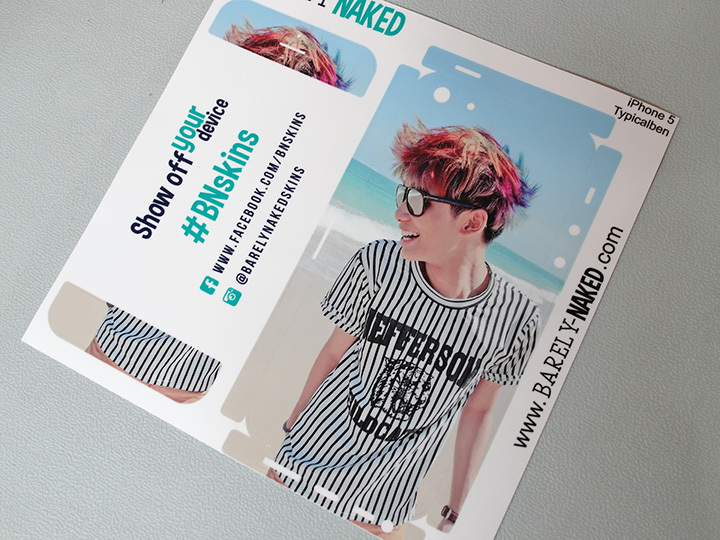 Anyway, here's a sample of what you will receive when you customise your own design with BarelyNaked! 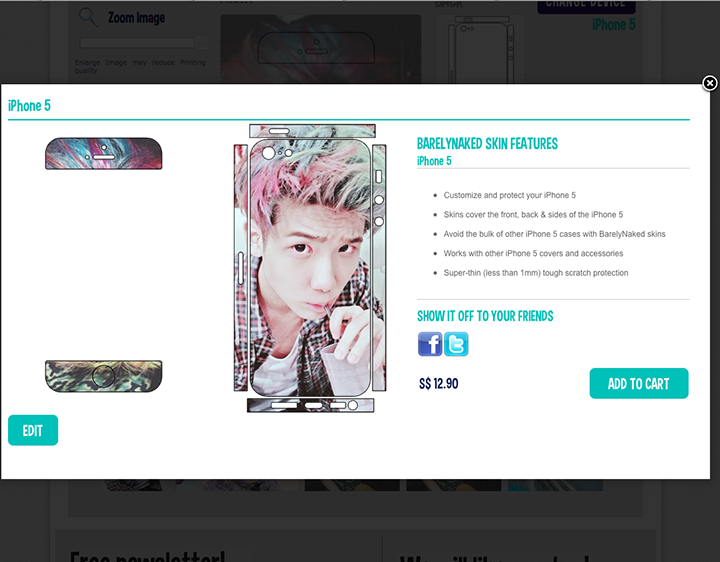 Yes, I actually did quite a few design for my phone because I cannot help but to do so! It's so nice and I scared that I might wanna change it often... so yeah! Hahaha! Show you guys all the designs I did later! And I also cheekily went to print out an extra skin for my iPad and end up I decided to stick it on my Macbook! Haha! You can print it out and stick anywhere and everywhere you want! It doesn't matter! Now all my devices are seriously.... BarelyNaked! Hahahahaha! And since their skins are very affordable (that's why I love about them), you are able to change your designs often! It is really about the same price as you change phone covers or get the skins outside, but at least with BarelyNaked, you get to customise you unique own skins which only you have!!! Not to forget, it's giveaway time!!!! Do follow them on their Facebook and Instagram to receive the latest updates and also they also will be having a giveaway to you 10 of you guys over at both the platform!!!! Go quickly go join now!! Is this Lionel... :3 LOL. 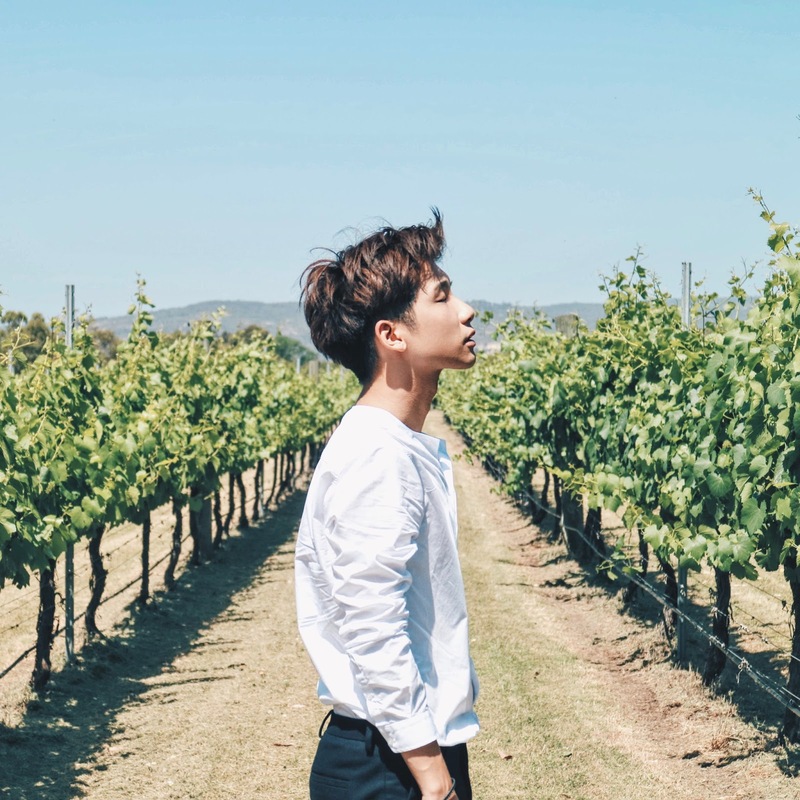 I dunno, used to respect him a lot when I was younger, 'cause he so chio so cute so fashionable but now he started using Korean, make instavideos of some photo slideshows (for whattt might as well collage them/ post them all), and a bit too self-absorbed. 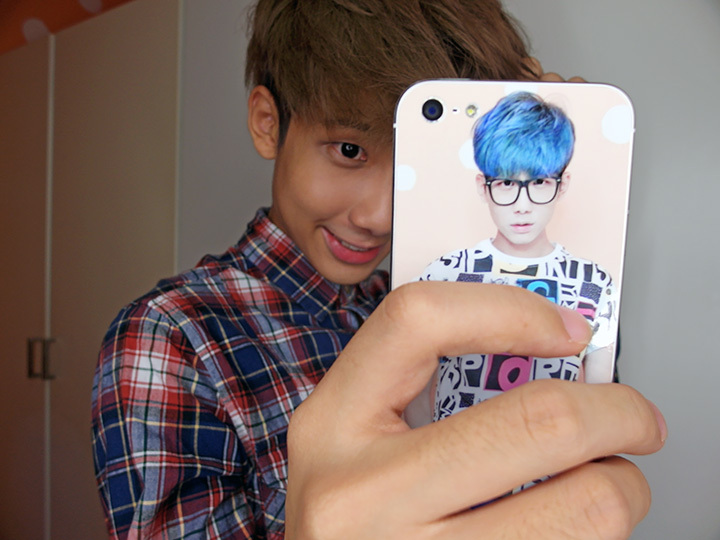 :x I mean it's normal for everyone to be self-obsessed lah. :D I just prefer him last time when he wasn't too vain I guess. I still read his blog etc but I'm not that much of a fan now. Maybe 'cause I have other male idols (different preference of guys) in my life now. HAHAHA. Wah wah this sounds so shocking to me. O_O You always blogged about him being your inspiration somemore!!! LOL that was so long ago already!. Same reason as you. 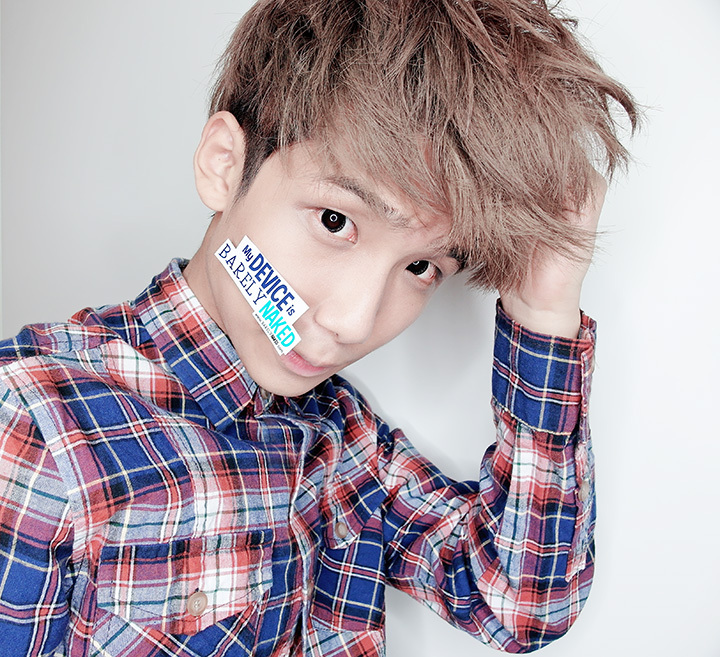 I think he is trying too hard to be Korean. Agree? True. LOL. Why lah want to be someone you're not right? Readers not even sure about him anymore. May I know what's the color of the hairstyle is that on the 7th photo from the last? With you holding on to the phone?? 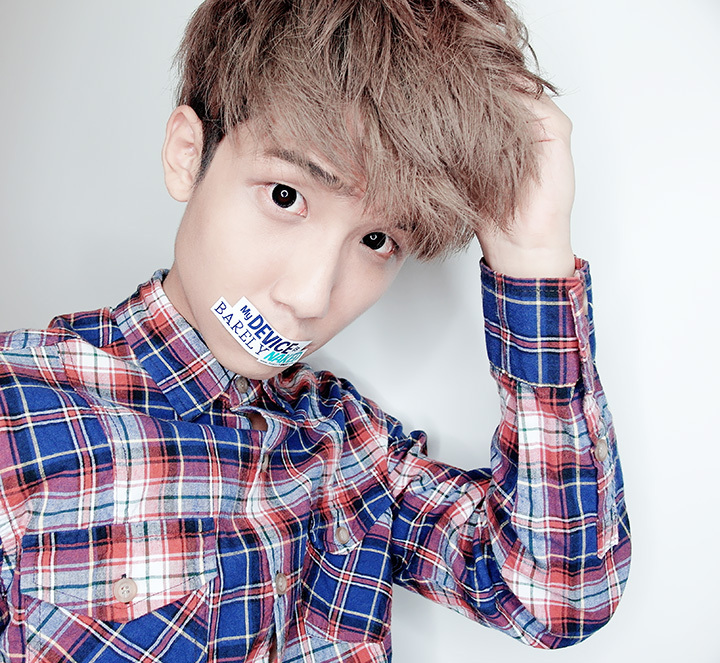 I been wanting that color.. Hope you can reply me!